Keep your valuable WordPress website, its media and database backed up to Dropbox in minutes with this sleek, easy to use plugin. Using Dropbox to store your WordPress backup means that it is secure and accesible from anywhere. Install one of the most popular backup solutions in the WordPress plugin directory today and you will have you website backed up in minutes. WordPress Backup to Dropbox is a plugin for WordPress that automatically uploads a backup of your entire website, including all files and its database, to Dropbox. It has been created to give you piece of mind that your website is backed up on a regular basis. Just choose a day, time and how often you wish yor backup to be performed and kick back and wait for your backup to be dropped in your Dropbox! Fully tested upto the latest version of WordPress. New versions are relased within days of a WordPress release. 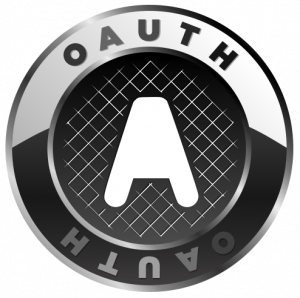 OAuth is used to keep your Dropbox account details safe. No credentials are stored for the plugin to gain access. A minimalist and friendly use interface makes it easy for you to setup a recurring backup in minutes. You choose the date, time and fequency. You also choose what files and folders are to be included in the backup. WordPress Backup to Dropbox is a free plugin that allows you to backup your WordPress website on a regular basis. The plugins simple interface lets you to setup your backup cycle in minutes giving you piece of mind that your precious blog posts, media files and template changes are backed up. In order to use the plugin you will need a Dropbox account. Dropbox is a free service that lets you bring your photos, docs, and videos anywhere and share them easily. Got an issue or want to request a feature? GitHub is used to track the plugins issues and features. So if you encounter a problem or have a fantastic idea on how to improve the plugin please dont heasitate to add an issue. Need support or got somthing to say? The WordPress plugin forum is used for general support and discussion about WordPress Backup to Dropbox. So if you need support or just want to say something nice please post a new topic. Installed "Wordpress Backup to Dropbox" on all of my client sites to make my life much easier. Thanks @michaeldewildt you rock! Done my first wordpress2dropbox back up. How simple and useful. @michaeldewildt's WordPress -> Dropbox plugin is amazing. Simple, efficient, perfect. Thanks much! I just wanted to say thank you for a great little plug-in. I've spent hours trying to find one that did both file and db back-ups and was tested on 3.3, and I had about given up. This plugin worked instantly and simply. Sign-up to be the first to know about latest news and releases. I will get in touch shortly. Copyright 2012, All Rights Reserved by Michael De Wildt.